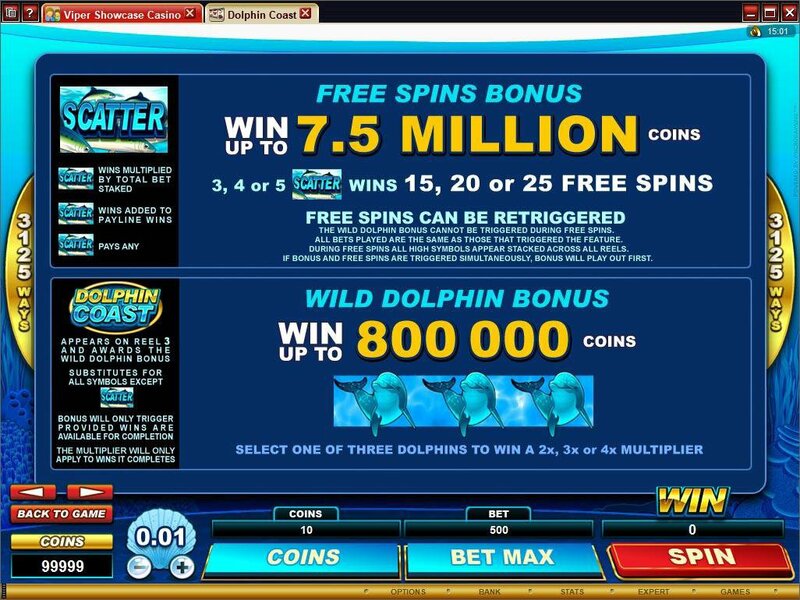 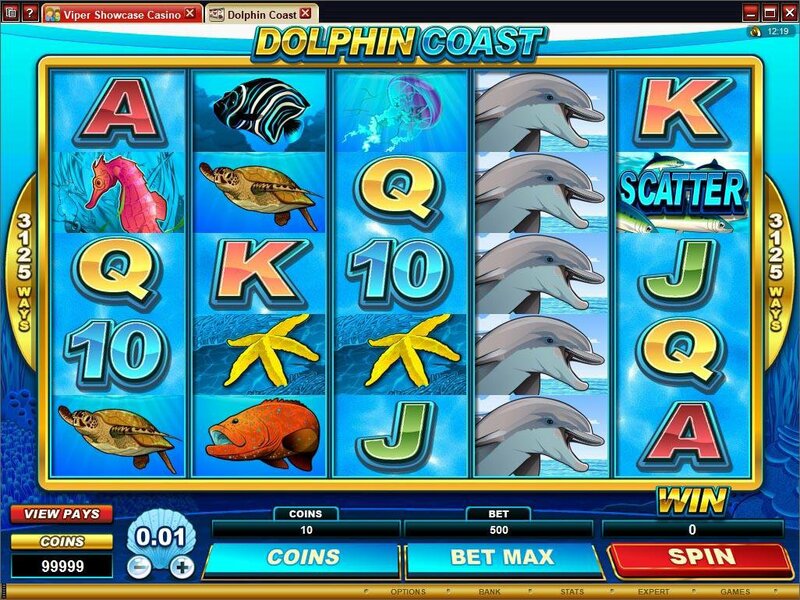 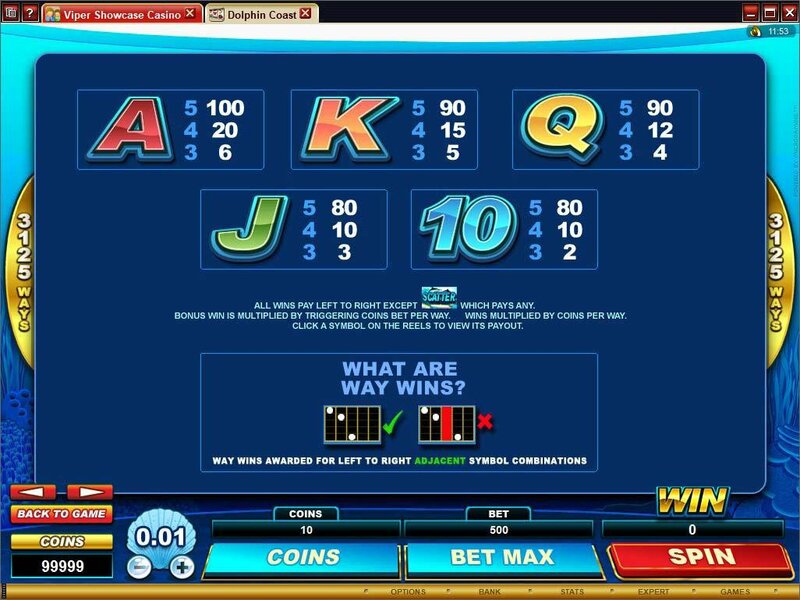 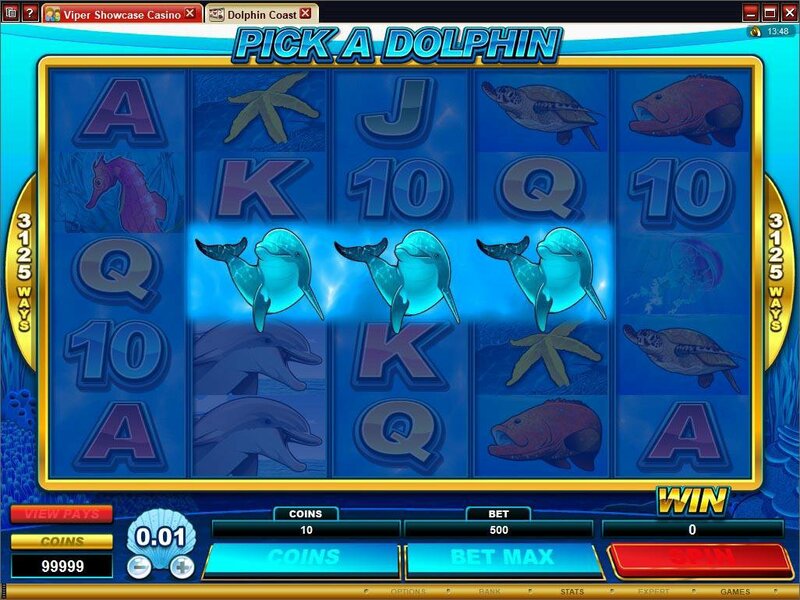 Overview: Imagine a warm, crystal clear, turquoise-blue tropical ocean teeming with a rich diversity of sea life and you're half way to ALL SLOTS Casino's latest enchanting video slot...DOLPHIN COAST. 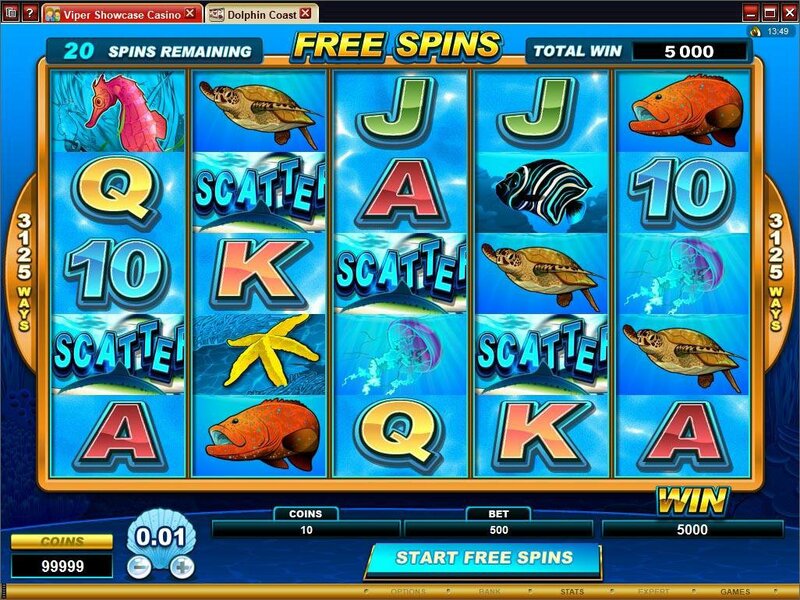 The superb graphics capture sunbeams lancing through the clear blue ocean depths in which turtles, men 'o war jellyfish, seahorses and all manner of brightly coloured sea creatures swim gracefully, providing a rich backdrop for some scintillating slot action. 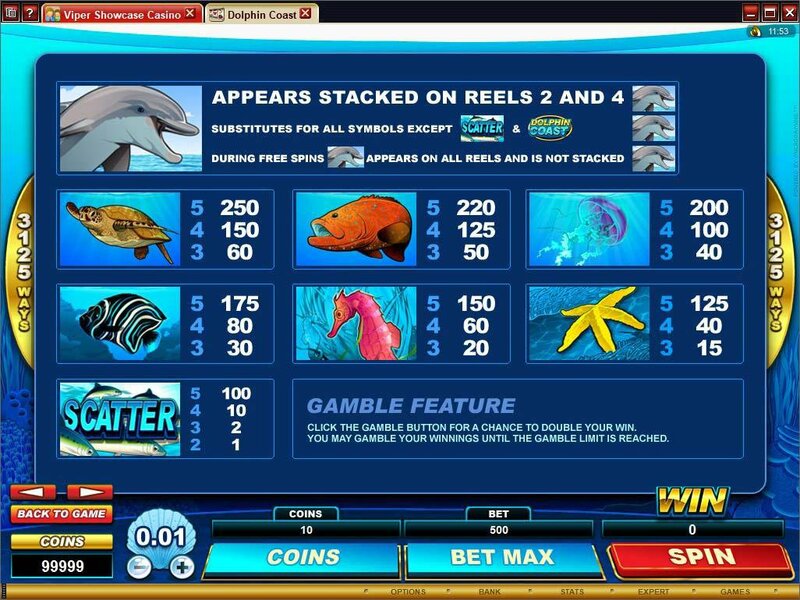 Similar Slots: If you like Dolphin Coast, you might like these other 5-reel slot machines: Cashapillar, Dog Father, Mayan Princess, Prime Property, Royal Feast, Star Appeal.